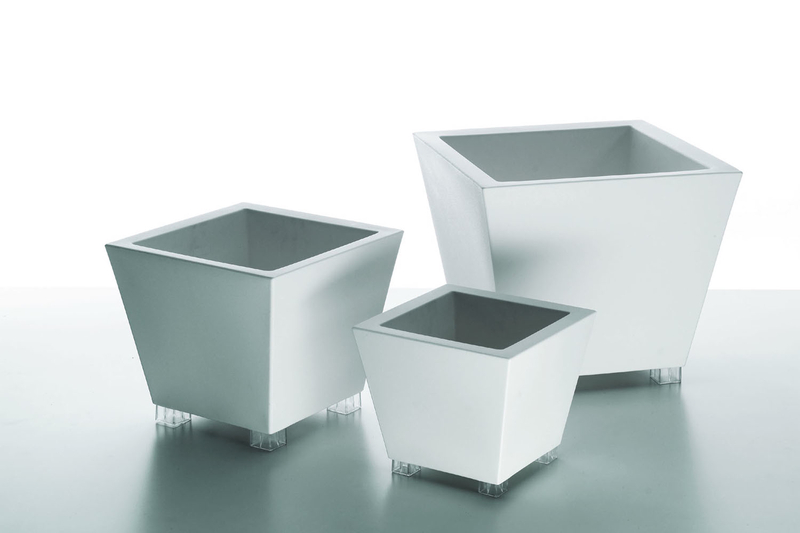 The Kabin Family of cachepots is a series of versatile pots for indoor and outdoor use that can be used singularly, as a series, and with or without feet. 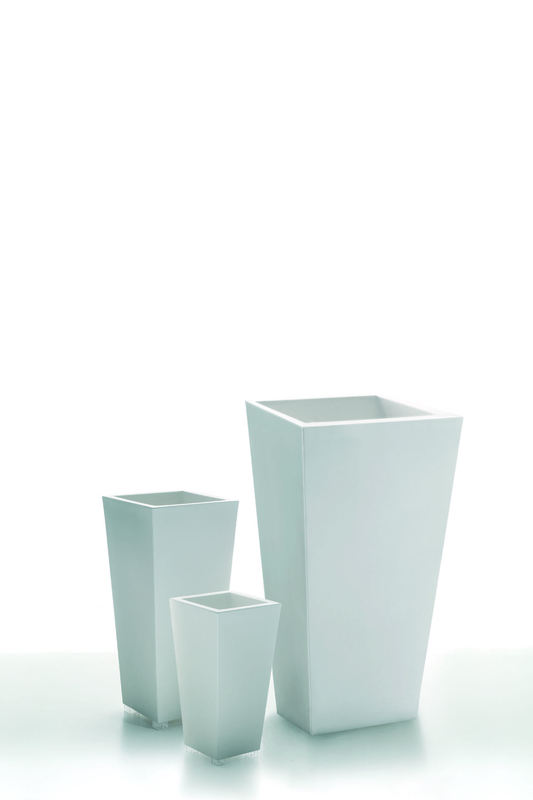 Designed by Lusia Bocchietto, Kabin translates from Japanese as cache-pot, and is designed with reference to the linearity of eastern-inspired containers. The flower box is highly sophisticated and elegant, with minimalist structural integrity and decoration, allowing it to adapt to any environment.